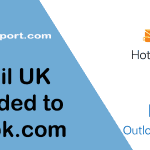 Hotmail support page helps to troubleshoot and solve Hotmail problems and issues related to Hotmail or Outlook account. In signinsupport.com we try to address day to day login issues regarding different email services. 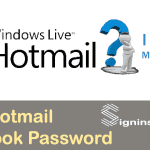 We have how-to articles and step-wise instructions explaining Hotmail login problems. But many time unexpected issues may arise like losing important emails or contacts, you doubt someone else is using your Hotmail account, Hotmail email account got hacked, don’t get items you purchased. Then you should contact Hotmail support. 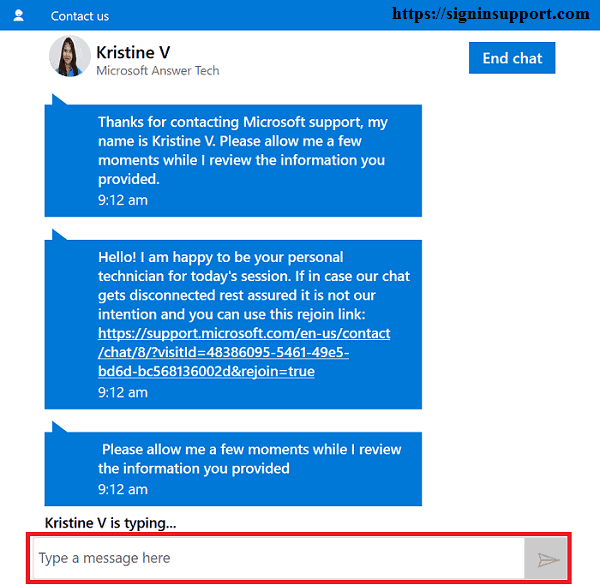 On its latest update, Hotmail has updated its support service. Users can directly chat with Hotmail technical support staff and solve their issues. 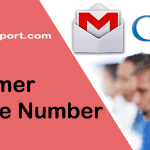 There are many third party sites which provide Hotmail tech support, but they charge some fee. Here are some support articles on our site where we want to help you for free. Go to Hotmail contact us page and choose the product you are using. Click on ‘Chat’ option as shown below. 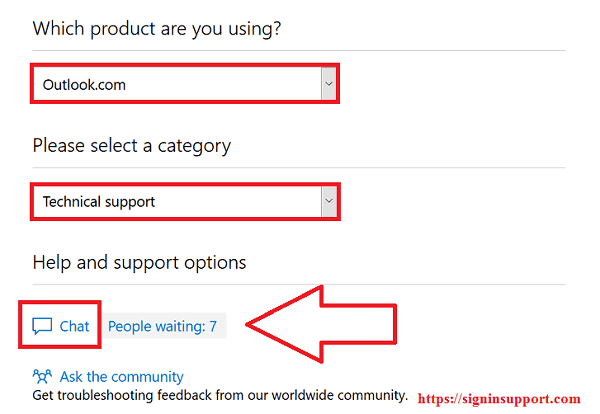 You have to sign into Hotmail account before you start to chat with support technicians. A new window will pop-up, login into your Microsoft account. It will automatically redirect you to chat window. Now type your message to Microsoft technician. In case if there are already some other users trying chatting with technicians, you have to wait a few minutes. You will be notified when your turn is on. When you’re done. End chat. Some problem you are facing may have been solved already. There is a dedicated support page for Hotmail help, if your Hotmail is not working, where you can search your query and get a solution for them. So we recommend this method instead of calling Microsoft support. 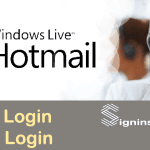 Continue to Hotmail account login. Well done for the non existent customer service! I am only getting errors trying to login to Outlook, while the phone number on the support page is completely useless as you only get a machine asking you to choose options and when you get to the right option they will tell you to go and sign in on the computer. How the hell am I meant to get any help? Are you unable to login to your account? How to Change Hotmail Password? How to Recover Hotmail Account Hacked?